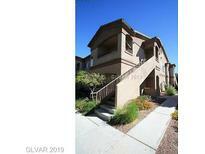 Below you can view all the condos for sale in the Infinity Palms subdivision located in Las Vegas Nevada. 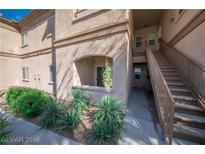 Listings in Infinity Palms are updated daily from data we receive from the Las Vegas multiple listing service. To learn more about any of these condos or to receive custom notifications when a new property is listed for sale in Infinity Palms, give us a call at 702-803-3032. All door ways are built for handicap accessible. MLS#2089609. Keller Williams Southern Nevada. Community Features include: Community pool and spa, exercise room, BBQ area, and pet park! MLS#2089345. Award Realty. Easy access to Galleria Mall, Freeways and a quick 11 mile drive to the new NFL stadium! MLS#2084282. RE/MAX Advantage. All of this is located in a gated community with a sister community (Terra I) across the street which you also have access to and can enjoy the community amenities including the Pool! MLS#2082675. All Vegas Valley Realty. End Unit w/ Mountain & City Views Unit has a covered parking space MLS#2080291. GK Properties. ***A must see***Honey stop the car***Great deal***1-floor close to dog park***Security front door***Gated community with Pool & Spa,BBQ Area,Fitness Gym,Club House and so much more***Tile throughout Kitchen with Granite Countertops and Breakfast Bar***Master Bedroom has Dual Closets***Master Bathroom features a Makeup Vanity***Garden Tub and Separate Shower***Thanks for Showing an Ortega Group Listing***Have A Great Day MLS#2080126. Keller Williams Market Place I. !Thanks for Showing an Ortega Group Listing*** MLS#2076867. Keller Williams Market Place I. 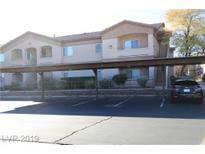 Perfect investment 2 bedrooms 2 baths covered patio and storage well kept gated community MLS#2070841. Urban Nest Realty. With its warm sense of community, and only moments to shops, eateries and transport this home provides all the elements for easy living! MLS#2060360. Maxim Properties. Wonderful size master bed/bath with separate large tub and separate shower!LEASE BUYOUT-30 DAY MOVE-IN MLS#2055464. Turn Key Property Solutions. Covered patio, perfect for relaxing with a drink. Dont miss this gem. MLS#2053923. Keller Williams Market Place I. Large master with makeup table, large tub & separate shower!ASK ABOUT OUR RENT TO OWN LEASE OPTION PROGRAM MLS#2007602. Turn Key Property Solutions.